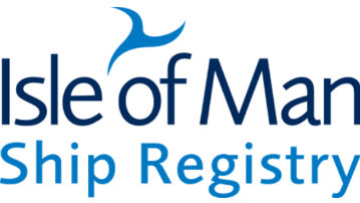 The Isle of Man Ship Registry is one of the world’s leading registers of ships and super yachts. A British register providing the very best in service to its valued clients; it is the flag of choice for owners looking for quality and partnership from a Flag Administration and was awarded the Best Shipping Registry 2019 by World Commerce Review. The Isle of Man ship register has built its reputation as one of the world’s leading registers with a dedicated team of professionals delivering a pragmatic, client-focused service, high regulatory standards, innovation, and a portfolio of quality clients. The Ship Registry is looking for a new Director who will take this to the next level. We are seeking an internationally respected leader with a track record in maritime regulation or operations and in delivering strategy and innovation in a fast-moving industry. The Ship Registry is a division operating within the Department for Enterprise, the Government Department tasked with creating an environment, through innovation and collaboration, where the economy thrives. The Ship Registry’s part in this is to provide a platform for maritime activity through the creation and operation of an internationally respected flag of choice which adds real value to its clients in a rapidly changing global maritime environment. Reporting directly to the Department’s CEO, you will be responsible for the leadership, strategic direction, and delivery of the Ship Registry in line with strategic aims of the Department. You will be responsible for setting the strategic direction for the Ship Registry to ensure it remains competitive and attractive to international clients and to ensure it is aligned with the wider objectives of the Isle of Man government to ensure its international reputation as a well-regulated, innovative and inclusive jurisdiction are upheld. You will also represent Isle of Man internationally and locally in relation to shipping matters and be a key contributor to the promotion of the Ship Registry to an international marketplace. The Ship Registry Director is a key senior management position which offers a rare opportunity to join a high performing team and to make a valuable contribution to the ongoing success of the Register.